Professional development is one of the top three reasons why legal information professionals join AALL. Find the right roadmap for your AALL journey. We have high impact, in-person learning for every stage of your career. The AALL Annual Meeting and Conference is our premiere education and networking event hosted each year where great minds meet to learn, problem solve, and grow. 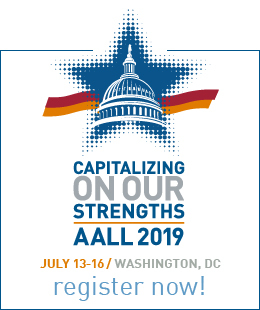 If you are new to AALL or you want to get the most out of your AALL experience, take advantage of the host program during the Annual Meeting. If you know the ropes, share your expertise during informal learning sessions, attend programs that expand your expertise, or meet other colleagues, and share what you’ve learned. Learn new best practices, tools, and cutting-edge learning through our in-depth workshops and specialized programs. Our programs are held throughout the year and as pre-conference offerings at our Annual Meeting to help you remain competitive. AALL hosts CONELL, a popular new members’ conference held each year as a starting point and catalyst to assist new librarians in career exploration and building a network. 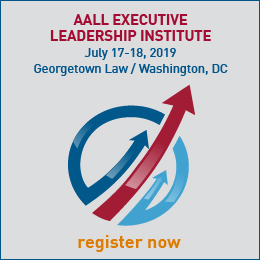 In addition, AALL hosts specialized programs such as a competitive intelligence series for professionals interested in expanding expertise in competitive intelligence. Stay on the road to success and attend leadership and management training. AALL’s Leadership Academy is designed to develop the essential leadership skills needed early in your career to excel as a high performer. AALL Leadership Academy fellows receive a mentor for one year and ongoing leadership development support. Build on those essential skills and attend the AALL Management Institute. Designed to create strong managers with critical business acumen, the management institute is a core building block to management success. AALL is dedicated to supporting the career development needs of legal information experts—problem solvers of the highest order.